The World Hindu Council of America strongly condemns the vandalism at the Hindu mandir in Louisville, Kentucky. 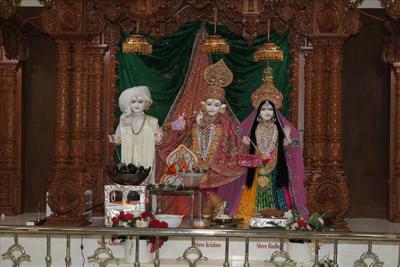 The Swaminarayan Mandir murti was desecrated and walls were painted with hate-filled messages. This act was not merely meant to insult the Hindu faith, but also to intimidate the Hindu community of Louisville. This entry was posted in AMERICAS, AMERICAS - News, DEFAMATION | PETITIONS, DEFAMATION | PETITIONS - News, LATEST NEWS, LATEST NEWS - News. Bookmark the permalink.